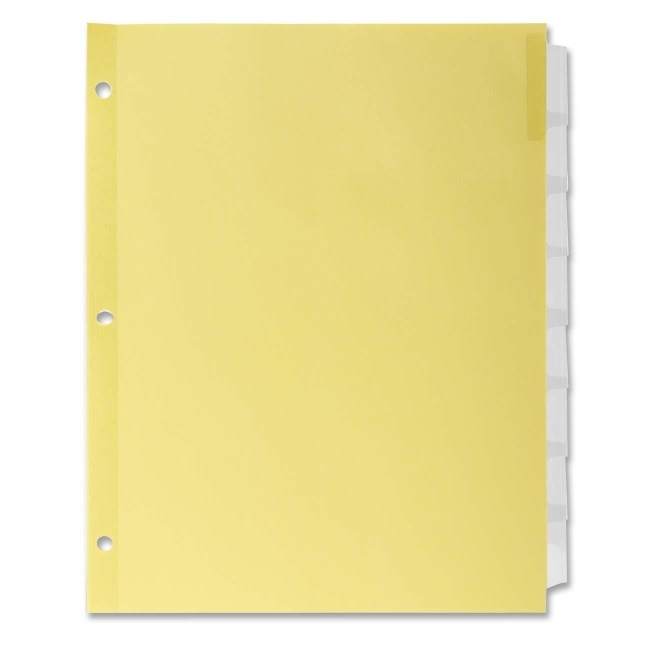 Insertable index divider feature clear Mylar reinforcement for extra durability. Three hole punched design fits standard size three ring binders. Divider include standard strip style inserts to slide into the plastic tabs. Each divider is made of heavy duty canary stock that contains 20% post consumer material.